The former owner of a 542-unit apartment complex in Palm Beach Gardens sold it for $97.3 million and used most of the sale proceeds to buy another apartment complex of similar size near Orlando. 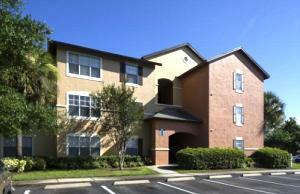 BRT Apartments Corp. closed its sale of The Fountains Apartments in Palm Beach Gardens for $179,520 per unit on Feb. 5. Two days later, BRT paid $71.3 million for a 522-unit apartment complex in Ocoee, a suburb of Orlando. The price per unit was $136,590. “The company anticipates the investment of the remainder of the sale proceeds by the end of February,” BRT said in a press release. The Great Neck, New York-based company is a publicly held real estate investment trust listed on the New York Stock Exchange under ticker symbol BRT. The price for the rental complex in Ocoee, called The Avenue Apartments, included the assumption of $53.1 million of mortgage debt that matures in 2028, carries an interest rate of 3.9 percent, and allows for seven years of interest-only payments.